A man accused of hitting and killing a beloved high school football coach on the Capital Beltway last summer while driving a box truck drove for Uber in the months following the crash. 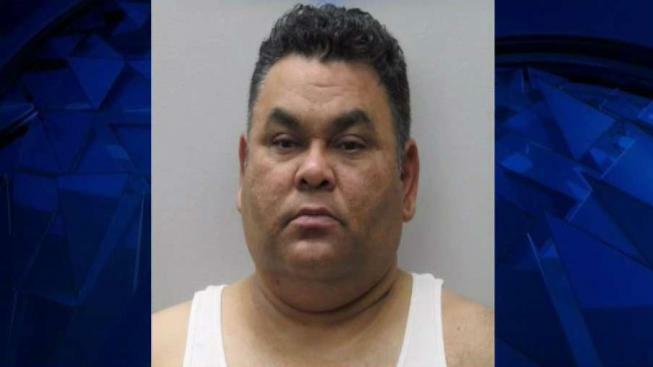 Carlos Alberto Garcia, 42, killed 52-year-old Leonard Schultz in June 2017 when the box truck he was driving drifted into the median area at the split of westbound I-495 and I-95 South/I-495/I-395 North in Springfield and struck him, Virginia State Police said. Schultz and his nephew, 24-year-old Albert Schultz, were trying to make sure a boat was secured to the back of a pickup truck when the box truck struck the boat and Leonard. Albert Schultz was also struck and seriously hurt. 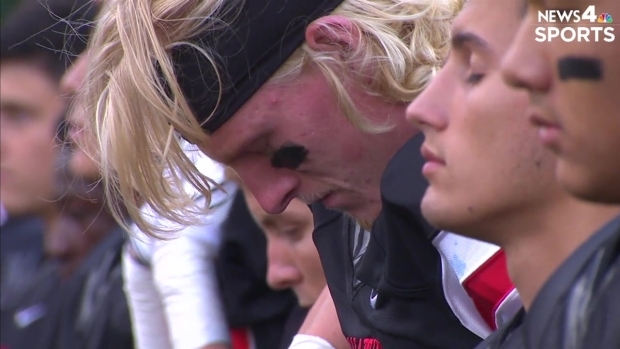 His mother, Mary Beth Schultz, said Friday her son is still recovering. "Its' all overwhelming," Schultz said in tears. "Just driving on the highway - when I see the trucks, I'm overwhelmed." Leonard Schultz, known as "Lenny," was a special education teacher and beloved football coach at James Madison High School in Vienna. James Madison High School paid tribute to the late coach Lenny Schultz, who died in a traffic accident in June, at the school's football home opener. Garcia was initially charged with reckless driving after the crash, but federal authorities pulled his license to operate a commercial vehicle after discovering it was his second crash in less than 24 hours. Charges against Garcia were later upgraded to involuntary manslaughter, but Garcia wasn't in jail until months after the crash. The Schultz family said Friday they recently learned Garcia drove for Uber after the crash that killed Lenny. "This driver has killed people and he had a warrant out for his arrest," Mary Beth Schultz said. Uber confirmed Garcia drove for them for two months and he no longer is allowed to access the app. The company said it is still investigating why his accident history didn't block him from working for them. News4 found Garcia's SUV outside the Woodbridge apartment where he was arrested. Uber was the only ride-share service mentioned in a court hearing Friday, but a Lyft sticker was also visible on Garcia's SUV. Garcia's lawyer asked a judge to give him bond Friday so he could start driving again. The judge denied the request. News4 has reached out to Lyft, but has not yet heard back.